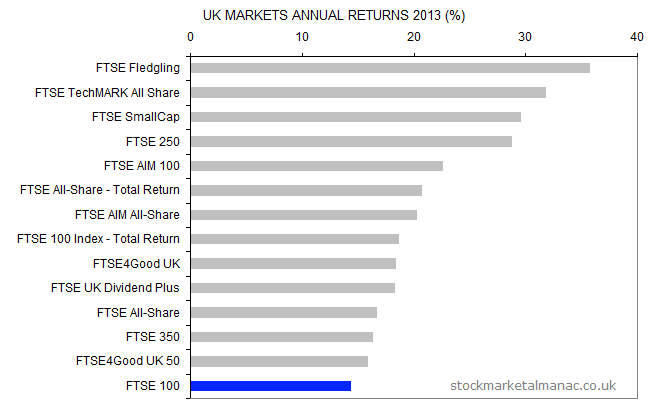 The following chart shows the performance of the main UK stock market indices in 2013. As can be seen, the FTSE 100 Index had the lowest returns of the indices. The strongest performance was from small and mid cap indices. The data for the above chart is shown in the following table. 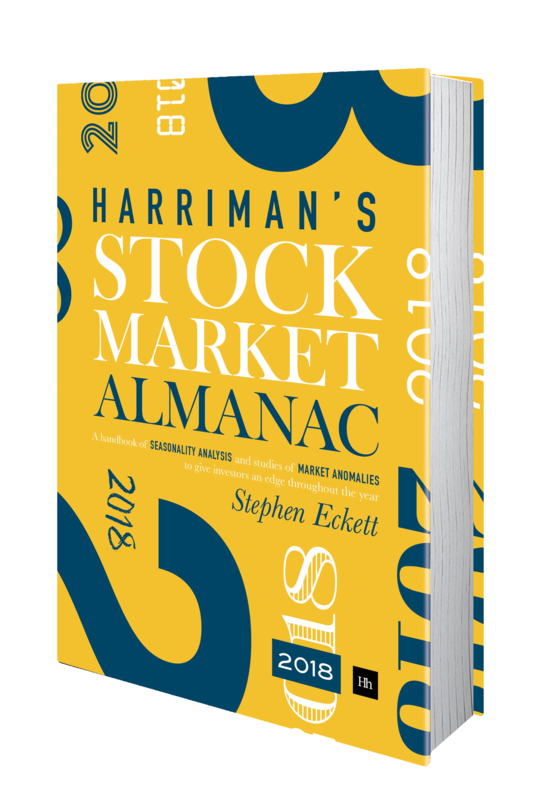 This entry was posted in Market, News, Year analysis and tagged 2013, 4GUK, 4UK5, AIM1, ASX, ASX.TR, AXX, FUDP, MCX, NMX, NSX, SMX, TASX, UKX, UKX.TR by Almanacist. Bookmark the permalink.